feminism is an interesting science how to be feminine. interesting thing: feminists are against the female as a sexual object for men, but are in favor of women sexuality on the opposite hand. 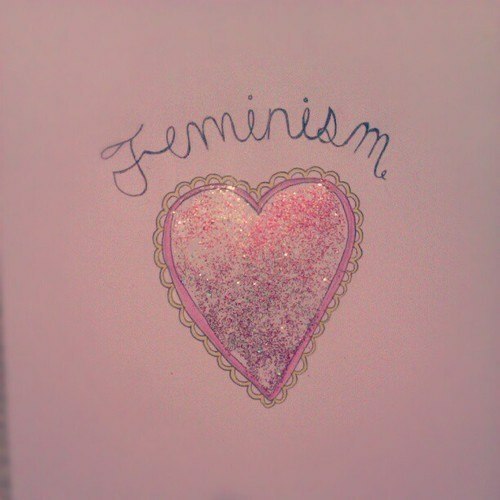 feminism makes girls and women more confident and, stands up for liberty and fight with the infringements of women. 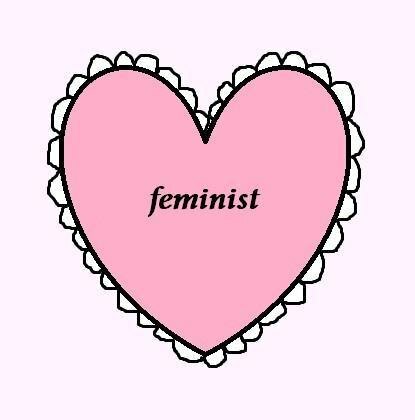 some of girls in my school don't know what it means to be a feminist, they describe feminism as stupid unfeminine lifestyle with lots of strikes and bans on lipsticks, bras and evening dresses. if i wasn't interested in that and if Tavi Gevinson didn't explain feminist rules, i would think of it like my classmates, say 'pheeeeeeewwww!'. life without girl's stuff??????!!! i can't explain why i began being a feminist. i have read articles about feminists in historical journals and was interested in feminist's blogs, and this theme was good to think of life sense. i was very outraged that a woman should be 'a slave' for man and that female gender is found 'weak'. this stereotypes was invented by men who wanted women to be subordinated. but didn't they think that some of girls couldn't reconcile? these girls are feminists. 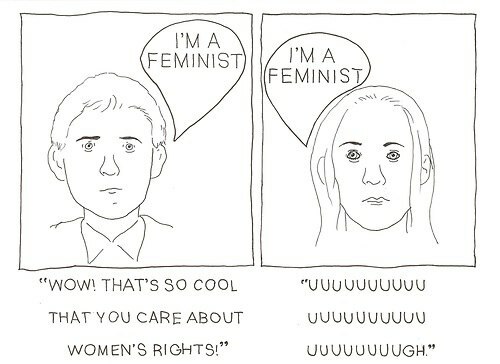 the most popular question asked me is how do people in school relate to my opinions about feminism, so i think i shouldn't write a large answer: this picture shows it. ahaha, this post is the best <3 the way people relate to it at your school is much better than at mine: if a boy "admitted" to being a feminist, he'd get called gay. the majority don't know what it means. sighzz. This is exactly how I feel! So many of my friends (guys especially) consider feminism to be this "anti-men" campaign where we burn bras and yell at girls who wear lipstick and stuff. It's ridiculous; I just wish people would open themselves up to a bit of education on the subject.